What Does Coconut Oil Do for the Body? 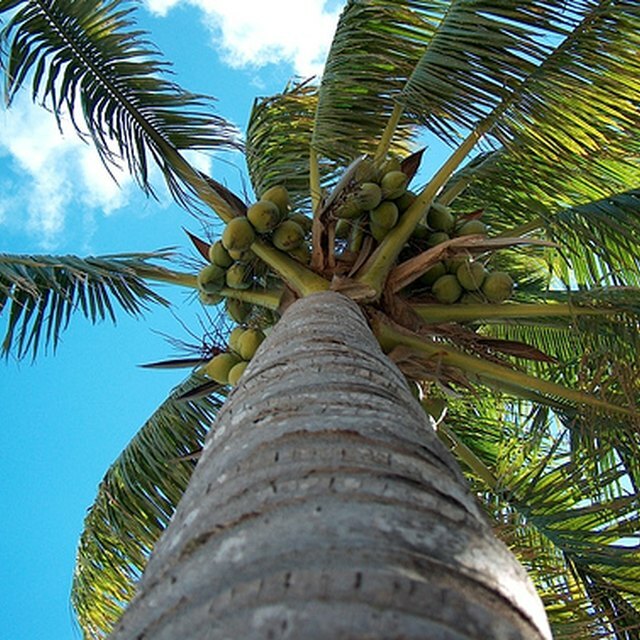 Coconuts and coconut oil are consumed regularly in many parts of the world, with great health benefits. 1 Can Coconut Oil Promote Hair Growth? 4 How Long Does a Copolla Keratin Treatment Last? Coconut oil is not only a heart-healthy oil, but it is absorbed by the body quickly, allowing the fats to be utilized rather than stored. If you are looking for an inexpensive moisturizer, coconut oil is also a safe and effective skin-smoothing and hydrating treatment for dry skin. Though it has a history of being considered good, then bad, then good again in the medical world, coconut oil is receiving positive feedback from researchers. Coconut oil may benefit weight loss or weight maintenance. Studies on both animals and humans show that replacing long-chain triglycerides with medium-chain triglycerides like coconut oil resulted in greater energy expenditure, according to the March 2002 issue of “The Journal of Nutrition." The MCT in coconut oil also decreased food intake and may cause a feeling of fullness when consumed. The combination of expending more energy and eating less food results in weight loss or weight maintenance. Coconut oil has been questioned in regards to cholesterol because it is mainly a saturated fat, the type you are told not to consume. However, coconut oil actually elevates HDL levels, the good cholesterol, according to the Coconut Research Center. By improving the ratio of good cholesterol to bad, your risk of heart disease decreases. An injured arterial wall creates atherosclerosis, which causes heart disease. The injured arterial wall may be caused over time by a number of things from free radicals, infections, toxins or bacteria. Coconut oil’s medium-chain fatty acids kill some of the factors involved in creating atherosclerosis, mainly bacterial and viral infections. 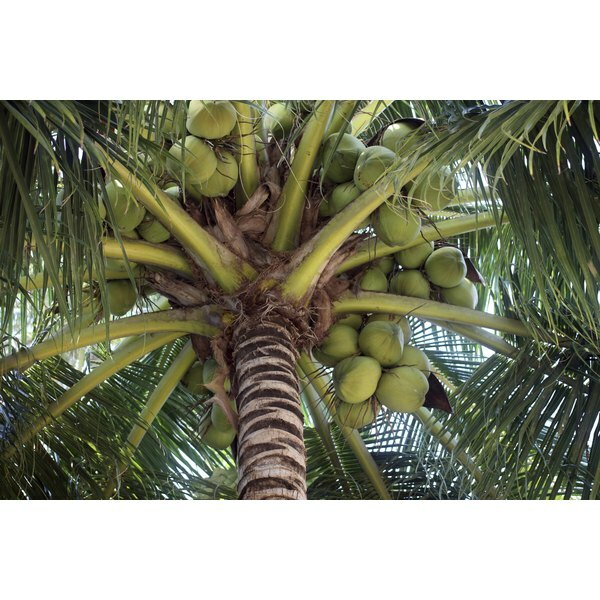 The Coconut Research Center cites countries, like Sri Lanka, that consume a lot of coconut products and have very low rates of heart disease as further proof that coconut oil is good for your heart. Coconut oil may also serve as an anti-fungal, according to the June 2007 issue of the “Journal of Medicinal Food." Candida, a fungal infection that can become systemic and fatal, responded well when treated with virgin coconut oil. Virgin coconut oil worked better than the antifungal drug, fluconazole, used in the study. Coconut oil also has several external uses. It is highly useful for treating hair and preventing hair damage during combing. A study published in the March-April 2003 issue of the “Journal of Cosmetic Science” compared the efficacy of mineral oil, sunflower oil and coconut oil in protecting hair. Although mineral oil and sunflower oil are the oils commonly used in hair products, coconut oil was the only oil that prevented protein loss whether used before or after washing the hair. Both mineral oil and coconut oil were found to be safe and helpful for eliminating severe dry skin, also referred to as xerosis. Subjective grading also showed coconut oil receiving better improvement scores. What Are the Benefits of Wheat Germ Capsules?